A new book by Dr. Seuss, one of the all-time favorite children’s book authors ever has just been released. For those of us that thought we had everything we would ever get from this beloved author we are ecstatic that more work has been found. Dr. Seuss books have been a part of our childhood and our children’s childhoods and now there is even more to love. Kid’s love this new edition to the Dr. Seuss catalog because it brings the return of some of their favorite characters from One Fish, Two Fish, Red Fish, Blue Fish. This brother and sister duo now find themselves at the pet store with the task of picking out a new pet. 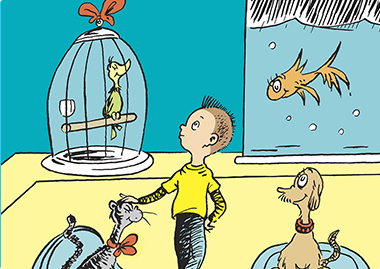 The classic Dr. Seuss picture style goes through their process of selecting only one new pet from the many adorable and tempting options. It’s not uncommon for children to mire down in the abundance of options available to them, to the point of being unable to make a decision. What Pet Should I Get? teaches these children that the most important part of any decision making task is simply to make one. Parent’s love this book because it entertains their children while teaching them a valuable lesson. The familiar rhyming style makes this book fun and exciting for everyone whether you’re an adult reading the book to your child at bedtime, or a kid that a brand new reader. The words will flow off the tongue in the style and flow we’ve all learned to love form Dr. Seuss. Enjoy the ride as you follow this brother sister duo through their pet shop trip. Meet brand new animals from the imagination of Dr. Seuss and learn which one they ultimately choose. Before long your children will be chanting the common catch-phrases found throughout the book and will want to read this favorite over and over. 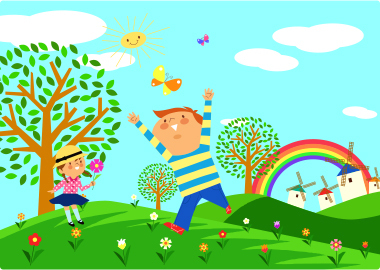 When you have children it’s common to find yourself in public places such as local parks and playgrounds. While you’re at the playground you can point out the miscellaneous trash that is left on the ground. As you point out the debris you can discuss with your children how it is harmful for the animals that could potentially eat it. Explain to them that garbage should always be put into a trash receptacle so that it can be handled properly. If you want to go above and beyond you could even bring a bag or two and some gloves and help clean up your favorite play area. One of the easiest ways to teach kids about recycling is to set up special bins at home. Once you have your recycling bins set up and labelled allow your children to start sorting your trash and other items. The kids find the task fun and they’ll learn an important lesson about waste. Depending on the types of items you regularly have in your home you can do cans for paper, plastics, aluminum cans, glass, etc. Express to your children how important it is to sort the items properly so that they will be processed at the recycling plant. Some items won’t be recycled if they’re not cleaned properly so you can let your children rinse and clean the recycling as well. What kid doesn’t love playing with toy cars and trucks? You can use their interest in these items to teach them about the importance of vehicle recycling. In fact, there is an interesting quote from Jerry an automotive industry expert that I often like to share. Jerry states, “One thing we can do to really help the environment is recycle vehicles. Parents, and children should be educated on this matter. If 1 and 20 would recycle their old vehicles we would decrease pollution in general by at least 2% which is a fairly considerable number.” Think about how much air pollution the world generates, cutting back even if it is only 2% is still a massive amount. Children love a good bedtime story and thankfully quite a few of them come with a positive message. The Dr. Seuss book The Lorax is one of the best options when it comes to teaching your children about the environment and how it affects us all. As you read to them they’ll not only be entertained but they will also learn about how dangerous deforestation and pollution are. By teaching your children about the environment you will instill in them how important it is to care for the planet and to look out for our collective future even if it isn’t always easy. Getting a child to read can sometimes feel like a chore but once you introduce them to that one special book they will become lifetime readers. In many cultures we get so caught up on everything that is new and exciting that we often forget that when it comes to books, some of the best ones are from our past. Good writing will stand the test of time and introducing your children to these tried and true favorites will hook them on reading for years to come. 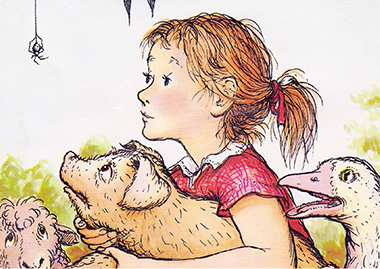 If there’s one book that can teach children about friendship, compassion, loss and mortality, it is Charlotte’s Web. For a single book it covers the gambit of what it is to be alive. These lessons are massive for a child but they are delivered in a way that is insightful even if sad. These two main characters, a pig and a spider, would never be expected to have a friendship, and yet they do. Despite the fact that they are animal and insect we learn what it is to accept differences and to embrace what it is that makes each unique and loveable in their own way. For many, this is the one book that encompasses their childhood reading. Once read Charlotte’s Web will be forever ingrained in your memory. The Lion, the Witch, and the Wardrobe is one of the most popular high fantasy books of all time.While these books are labeled as a “story for children” they really hold up as an interesting tale for everyone, young or old. While they can be read as a Christian allegory it is just as easily to read these books as an interesting tale that includes lessons on trust and responsibility. If your children are fans of magic and intrigue then they’ll love The Lion, The Witch, and the Wardrobe. Once they start reading they won’t stop until they’ve reached the end. This Caldecott award winning book exemplifies what it is to live in ones imagination. Emotions can be difficult for anyone, but especially for children. Where the Wild Things Are teaches children how to accept and understand their own feelings. The pictures are rich and interesting to look at and enrich the story in a way that is rarely seen. Many of us lose much of our imagination as we age but this book relishes what it is to be young and full of fantastical ideas and to see the world in a unique way. Sometimes it’s necessary to create your own surrounding to comprehend what is happening in an often confusing reality. Everyone has heard of Winnie the Pooh and sharing this classic with your children can bring an enjoyable walk down memory lane. The oldest book but also potentially the most lovable introduces us to the world of Christopher Robin and his friend Pooh. These oft confused bear is charming and lovable as he and the other animals teach us what it is to be humble, careful, creative, and brave.